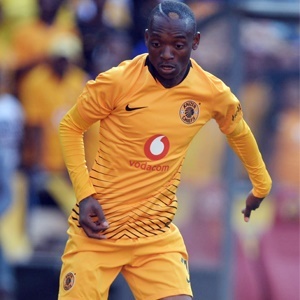 Cape Town - Kaizer Chiefs have revealed that Happy Mashiane remains out injured while Khama Billiat, Eric Mathoho and Lebogang Manyama have returned to full training following their respective knocks. Mashiane's first season as a professional footballer could be all but over as he is expected to be out of action for a few more weeks with a toe problem. It seems unlikely he will make a recovery and a return to full fitness before the season ends in May. The 21-year-old picked up his injury in January during a Nedbank Cup clash against ABC Motsepe minnows Tornado. However, good news is that Mathoho, Manyama and Billiat are closer to returning. Chiefs' physiotherapist Dave Milner told the club's official website: "Happy's toe fracture is taking longer than expected to heal. The youngster requires a few more weeks to fully recover. "They (Manyama and Mathoho) are both training. The one thing left for the two is to get back to match fitness. We are monitoring their progression towards match fitness. It will take a bit of time, but we are happy with their progress. "Khama has started training again. We will assess how he responds in training before making a decision on his availability for selection on the weekend." The Glamour Boys are next in action on Saturday when they face Black Leopards at the Thohoyandou Stadium.